New Winter 2018: Here's a great gift idea for Dad's birthday, the holidays, Father's Day or the first day of the grilling season! 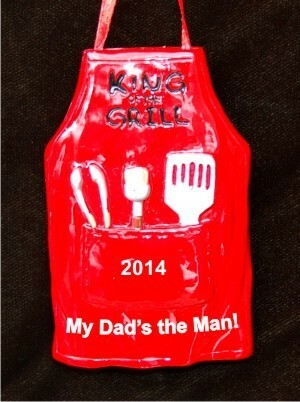 The Dad's apron king of the grill personalized Christmas ornament features a durable resin apron with the wording King of the Grill at the top and a pocket-full of the tools your dad uses to make delicious food. 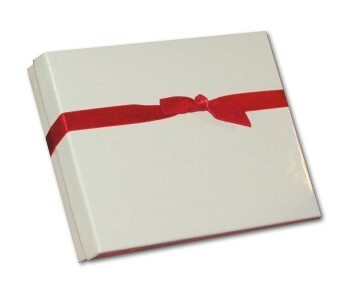 Give us his custom details, and we'll add them in a font more stylish than shown to create a keepsake that will make him smile every time it's displayed on the tree. Let him know you love what he grills with the BBQ apron personalized Christmas ornament from Russell Rhodes!